Home of dwm, dmenu and other quality software with a focus on simplicity, clarity, and frugality. Read more about our philosophy and join us on the mailing list. Registrations are now open for slcon6 that will be held in Bad Liebenzell, Germany on 2019-10-(04-06). The CfP for interested participants will end on 2019-06-30. There is now a patch overview tool to have a quick overview of the patch status list. This list is generated each day from the sites repository. It checks if patches apply cleanly in a normal patching manner. Of course it does not check patch combinations. Please keep the patches tidy and maintain or remove them. This release has mostly bugfixes. The maintainance is completed. Let me know of any important things that are broken. Internally we will keep tweaking the server configuration over the course of time. There will be a scheduled server maintenance next Friday and Saturday, 2018-06-(01-02). The migration to the new server will happen on these days and the git repositories and mailing list will be frozen on the old (now current) server. Registrations for slcon5 are now open. suckless hackathon: we met on Sep 1-3 2017 in Würzburg, Germany. suckless.org now supports TLS using Let's Encrypt. Cloning git repos over HTTPS now works. Some links on the page have been changed to allow both HTTP and HTTPS. HSTS is not fully working yet. This will be fixed. The IPv6 AAAA record was added and IPv6 is fully working now. suckless has many subdomains, these should hopefully all work via TLS. If you see a subdomain without a signed certificate please report it. If you find any broken links on the wiki pages, these can be fixed by anyone. The suckless.org project is now hosted on a new server. All inactive accounts have been removed during the relocation. surf now uses webkit2 by default. The webkit1 version is kept in the surf-webkit1 branch. The “master” branch doesn't exist anymore, HEAD is now surf-webkit2, so be sure to rebase your local master commits onto surf-webkit1. Videos of the slcon 2016 talks are now available. slcon3 preliminary schedule now published. If you want to attend please register before: 2016-09-01. Videos of the slcon2 talks are now available. slcon2 will be held in Budapest on 2015-10-(30-31). The CfP for interested participants is now open and will end on 2015-04-30. There will be a suckless assembly at the 31C3. The whole suckless community is invited to come, meet and hack! We are glad to announce the slcon 2013 programme. We are glad to announce the switch to git from mercurial in all of our repositories. You can find them at git.suckless.org Many thanks to 20h for his contribution! Today we heard a very sad news that our friend, contributor and philosophical advisor Uriel has passed away peacefully. We will miss him a lot. Anselm gave a talk about The 'suckless.org' universe at the LinuxTag 2011 conference in Berlin. 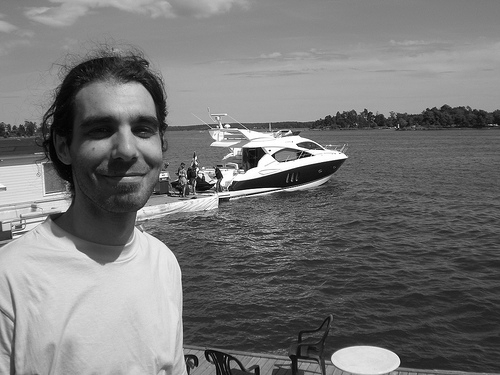 We learned today that the previous wmii maintainer, who wasn't actively involved since 2007, Denis Grelich, died on 2010-03-12. We thank him for his work. Rest in peace. We applied as a mentoring organisation for GSoC 2010. See our project ideas for GSoC 2010 page for further details. Some of us will visit CLT2010. Anselm will give a talk about stali on the second day of CLT2010 at 17:00. There was a small community meeting in Berlin! Thanks to all attendees.